A Few Music Scores By F.R.H. 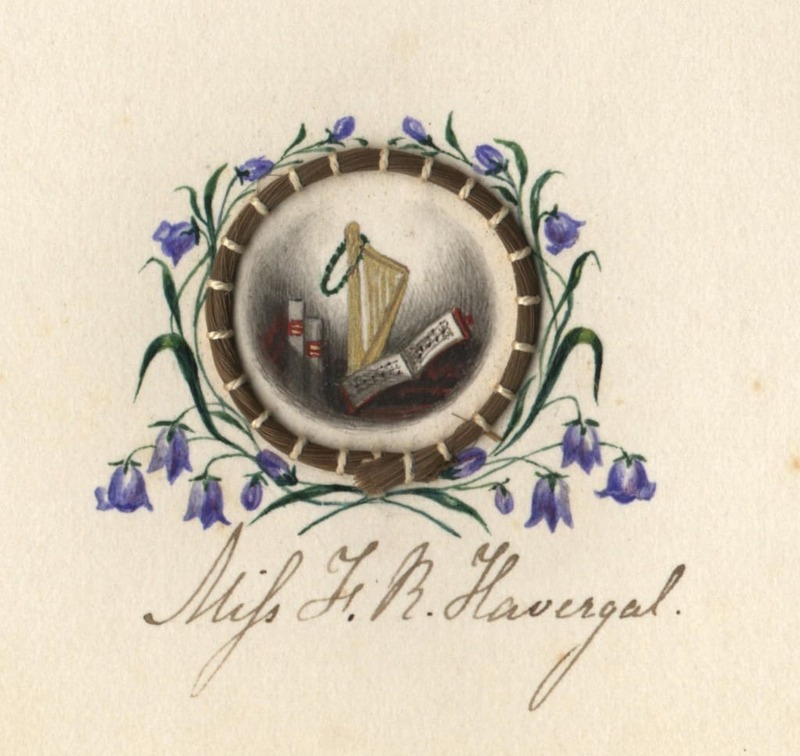 Frances had planned to leave (“D.V.” she wrote in a letter dated May 9, the initials for the Latin “Deo volente,” meaning “God willing”) on June 4, 1879, for a trip to Ireland for two months to tour the Irish Society Mission stations, and to write on what she observed and learned to raise awareness and support for that true work. The Lord had a better way: on June 3, her final illness ended, and she entered His presence. This was a personal seal of Frances, encircled by a locket of her hair, hand-painted, and found with the personal seals of other members of her family. 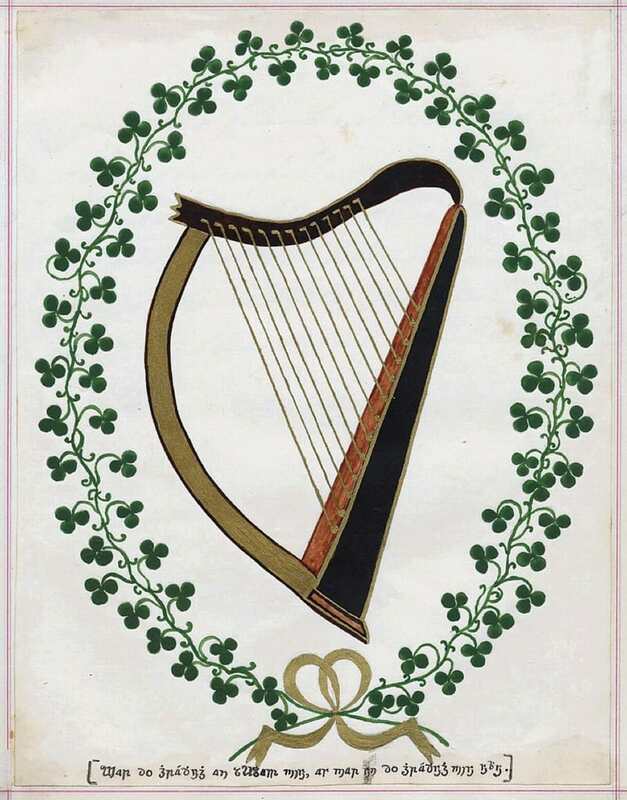 Frances’ personal emblem was the harp. J. 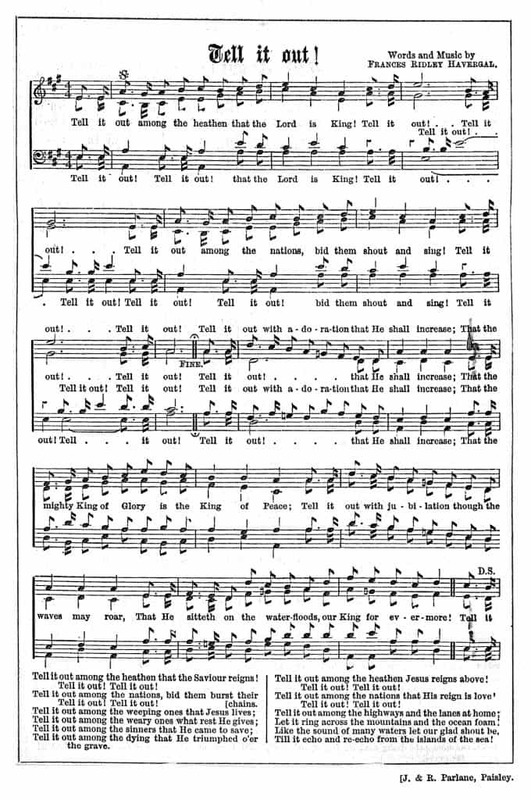 & R. Parlane published a number of her hymns in leaflets like this one.